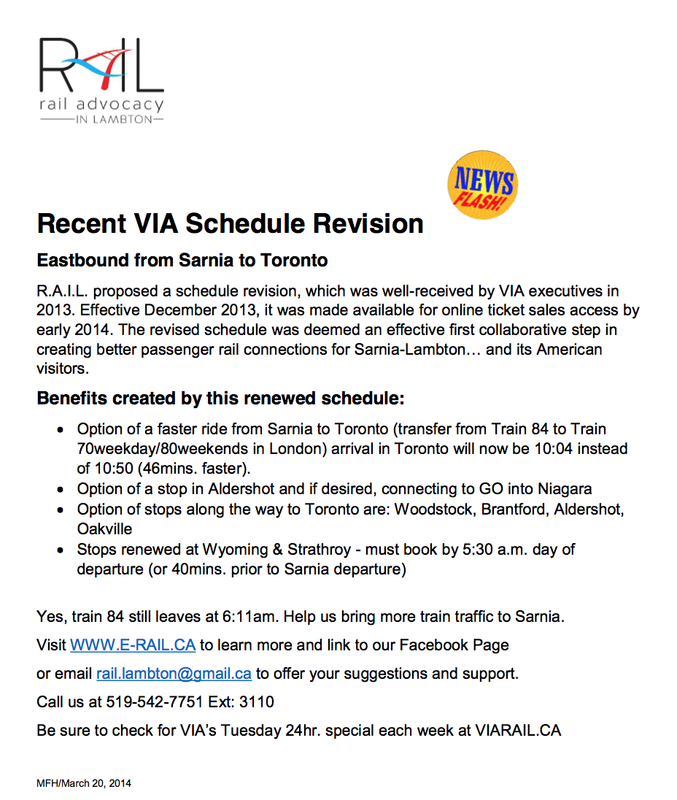 Click to see the latest article on the Sarnia Journal on recent RAIL developments. This day recognizes the 1885 completion of Canada’s then railway system – the driving of the last spike in the Canadian Pacific Railway and the completion of the transcontinental railway uniting Canada. 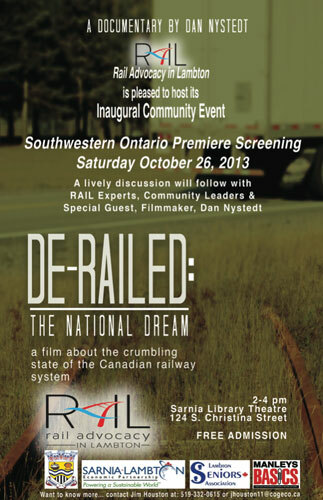 As we celebrate this day & work to regain the vision of that purpose . .
RAIL’s Inaugural Event held Oct.26,2013 served as a magnate for Rail Experts from across Ontario & Michigan. 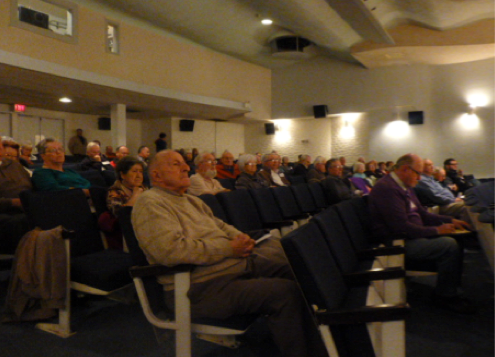 They gathered with Jim Houston, President and Mabel Higgins, VP, Ed Banninga Treasurer & Member at Large, Doug Wilson and Filmmaker, Dan Nystedt for a parting photo after the event which drew approximately 150 people. 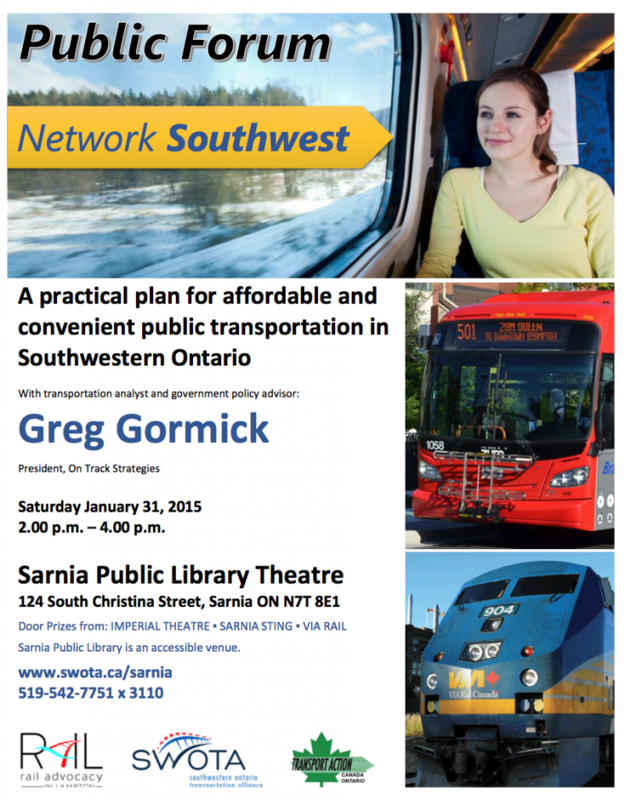 In response to the rapid loss of inter-city transportation options, SWEA is hosting a summit aimed at bringing together representatives from all levels of government, transportation companies and community based transportation advocacy groups. Delegates from RAIL plan to attend and look forward to seeing you there.